Summary: A new study reports misfolded proteins can cause circadian rhythm disruptions which contribute to cancerous tumor growth. Source: Medical University of South Carolina. Tumor cells use the unfolded protein response to alter circadian rhythm, which contributes to more tumor growth, Hollings Cancer Center researchers at the Medical University of South Carolina (MUSC) find. A key part of the circadian clock opposes this process, according to a paper published online Dec. 11 in Nature Cell Biology. For tumors to grow and spread, cancer cells must make larger than normal amounts of nucleic acids and protein, so they can replicate themselves. Yet in both normal and cancer cells that increase their synthesis of protein, a small percent of those proteins do not fold properly. When that happens, the cell activates its unfolded protein response (UPR), which slows down the making of new proteins while the misfolded proteins are refolded. Eventually, the buildup of misfolded proteins becomes toxic and leads to cell death. However, cancer cells have learned to use the UPR to slow protein synthesis when needed, in order to handle the backlog of misfolded proteins. This helps them survive in conditions that would kill normal cells. This pattern of adaptation is often seen in tumor cells, according to J. Alan Diehl, Ph.D., the SmartState Endowed Chair in Lipidomics, Pathobiology and Therapy at the MUSC Hollings Cancer Center and senior researcher on the project. “What a tumor cell is doing is taking a pathway that’s already in the cell and using it to its advantage,” said Diehl. Yet it was not clear exactly how cancer cells were able to use UPR activity to influence circadian rhythm. Diehl’s group found that the UPR and circadian rhythm are linked together to lead the clockwork of the cell and also that cancer cells use the UPR to manipulate the circadian clock in ways that allow them to survive conditions that are toxic to normal cells. To start, Diehl and his fellow researchers formulated a new idea based on what was known about protein synthesis in the cell. First, as they knew, the UPR is altered in tumors, and second, cells establish a circadian rhythm to regulate metabolism by producing levels of certain proteins that rise and fall in coordination with natural cycles of light and dark. Third, other scientists had observed that circadian rhythm is altered in tumor cells. Since protein production is tied to circadian rhythm, Diehl’s group asked if misfolded proteins might change circadian rhythm in cancer cells. In their first set of experiments, Diehl’s research team used chemicals to activate the UPR in osteosarcoma cells. 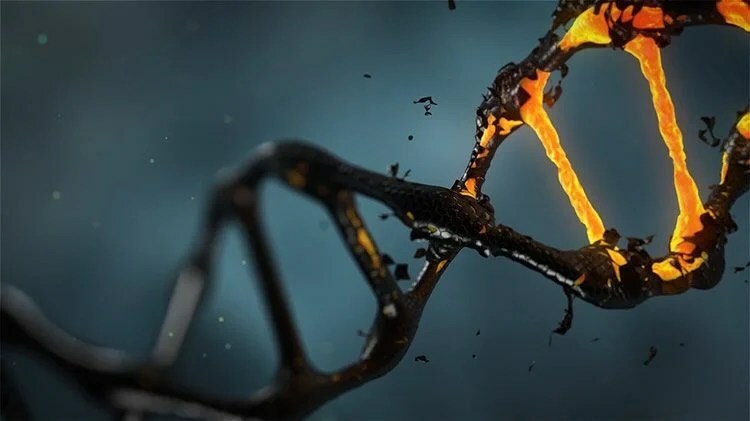 They found that, when activated, the UPR changes levels of an important protein called Bmal1, which is a transcription factor that rises and falls with cycles of light and dark. As it does, it regulates the expression of major circadian rhythm genes. When cells were exposed to cycles of light and dark, Bmal1 levels peaked during dark hours. But when the UPR was chemically activated, Bmal1 stayed low during both light and dark phases, which caused a phase shift in the expression of circadian genes. When one of the main parts of the UPR machinery was absent in cells, the phase shift did not happen. Next, the group found that the UPR functions much like a “middleman” between light-dark cycles and the ability of cells to establish a circadian rhythm from those cycles. Levels of the circadian protein Bmal1 continued to decrease, as the UPR was increasingly activated. In rodents that had their light-dark cycles suddenly reversed, Bmal1 stopped rising and falling – a clear sign that their circadian rhythms were disrupted. Shifts in light exposure activated the UPR in those rodents’ cells. But what does that mean for the development of cancer? The team found that patients with breast, gastric or lung cancers survived longer when they had higher levels of Bmal1 protein. In myc-driven cancers, the UPR was causing the loss of Bmal1 protein, which caused the tumors to grow. Myc-driven tumors lost circadian rhythm, whereas normal cells maintained it. Conversely, high levels of Bmal1 overtook the UPR, thereby allowing protein synthesis to continue, which was toxic to tumor cells. In this way, Bmal1 directly encourages protein synthesis. Still, do changes in light-dark cycles contribute to the development of cancer in humans? It is not yet clear in patients if circadian shifts contribute to changes in the UPR and if that, in turn, contributes to the development of cancer. But these results could help clinicians boost the effectiveness of current cancer treatments, Diehl said. “Physicians are beginning to think about timing delivery of therapies in such a way that, say, if we deliver a drug at a certain time of day, we’ll get better on-target effects on the cancer and less toxicity in the normal cells,” he said. Medical University of South Carolina “Cancer Overrides the Circadian Clock to Survive.” NeuroscienceNews. NeuroscienceNews, 28 December 2017. The unfolded protein response (UPR) is a stress-activated signalling pathway that regulates cell proliferation, metabolism and survival. The circadian clock coordinates metabolism and signal transduction with light/dark cycles. We explore how UPR signalling interfaces with the circadian clock. UPR activation induces a 10 h phase shift in circadian oscillations through induction of miR-211, a PERK-inducible microRNA that transiently suppresses both Bmal1 and Clock, core circadian regulators. Molecular investigation reveals that miR-211 directly regulates Bmal1 and Clock via distinct mechanisms. Suppression of Bmal1 and Clock has the anticipated impact on expression of select circadian genes, but we also find that repression of Bmal1 is essential for UPR-dependent inhibition of protein synthesis and cell adaptation to stresses that disrupt endoplasmic reticulum homeostasis. Our data demonstrate that c-Myc-dependent activation of the UPR inhibits Bmal1 in Burkitt’s lymphoma, thereby suppressing both circadian oscillation and ongoing protein synthesis to facilitate tumour progression.